This hinge has seized so needs replacing. But I can't even see the 4 Phillips screw head clearly, and a screw driver just slips so it's likely stripped. What's the best way of removing these screws? I was thinking maybe use a Dremel to cut a new slot for a regular screw driver but in going to have access issues on the left. The usual tool to use for this is a screw extractor. You drill a hole in the screw, then use the screw extractor bit in the hole you drilled. The brand pictured has the drill and extractor on the same bit. Drilling the hole is usually the hard part. It may help to drill the smallest possible hole first, then re-drill with a bigger bit, then extract the screw. 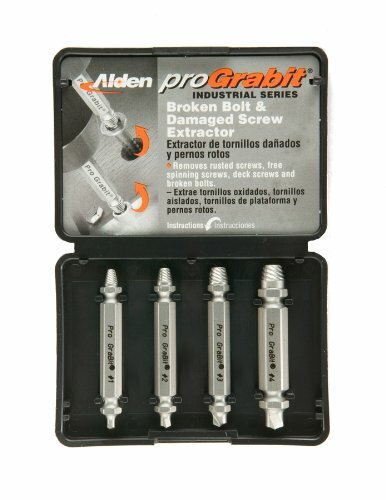 If you're patient, you can use a Dremel tool with a cutoff wheel or tiny grinding wheel to cut the heads off, remove the hinge, then use vice grips to unscrew the bits left behind. Rather than cutting a slot with the Dremel, you can try to just grind a flat on the head so you can get a better grip on it with vice grips, but in this particular case it looks like there's not enough room for that to work well. I would just use a hacksaw and cut off the hinge then use vise-grips to unscrew the screws. Using @michaelkaras suggestion I used a wire brush to remove the rust so I could see the slots on the 4 Ph screws. I managed to remove the right rear screw with a Phillips screw driver but the right front screw just cammed out. This was the only screw I used the Dremel on to cut a new slot, and a flat bladed screw driver was able to remove that screw. I then tried a magic saw to cut the hinge off near the remaining screws but it just stuck. But in bending the hinge back and forth it loosened the remaining two screws enough for me to remove them using the Ph screw driver. I double checked, and these are all Phillips screws. No pozi screws even though these are euro hinges. Not the answer you're looking for? Browse other questions tagged screws rust or ask your own question. 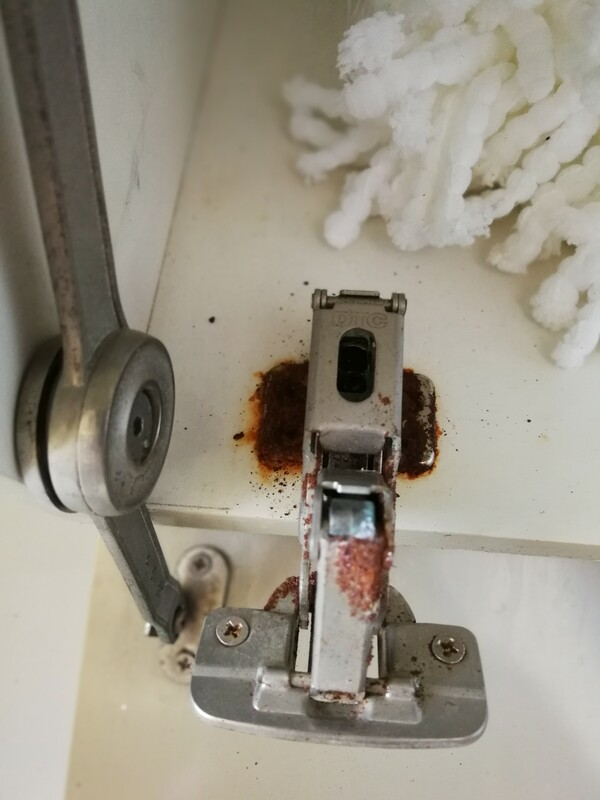 How to remove rusted screws?